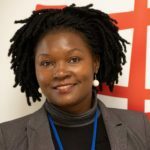 My participation and experience at the UN Commission on the Status of Women 63 (CSW) has challenged me to reflect on social protection issue and the key issues associated with it in my context as a Ugandan participant. CSW is the principal global intergovernmental body exclusively dedicated to the promotion of gender equality and the empowerment of women. 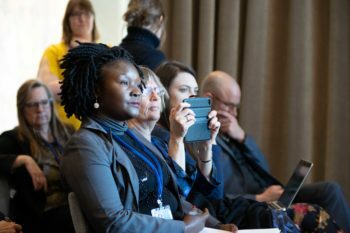 The priority theme at CSW this year was on social protection systems, access to public services and sustainable infrastructure for gender equality and the empowerment of women and girls. In Uganda, social protection is enshrined in the constitution and brought to life in policy and legal frameworks. The Ugandan constitution requires that the state ensures equal access to education, health services, clean and safe water, work, decent shelter, adequate clothing, food security, pension and retirement benefits. The constitution further provides for the promotion and protection of fundamental human rights and freedoms. Uganda has enacted laws and designed policies and programmes to ensure the provision of social protection to individuals. However, the reality is that the level of women’s and girls’ vulnerability is still high and their access to social services remains a challenge. I do appreciate that the poverty level in Uganda has steadily declined from 56 per cent (1992) to 24.5 per cent (2012). However, the Human Development Report of 2013 ranks the country as 161st out of 182 countries in human development. One of my key concerns on the social protection of women and girls in Uganda is access to quality health care. Inadequate funding for health services presents greater challenges to women, who are the main users of health services especially for antenatal care. The sector is challenged by inadequate financing, which contributes to low staffing levels, persistent shortages of essential medicines, health supplies, and drugs at health facilities, and poor working conditions for health workers including lack of accommodation for critical staff. Similarly, despite a lot of success in promoting girls’ education, there are persistent challenges facing girls’ entry, participation and outcomes from their education. In secondary education, despite the implementation of Universal Secondary Education (USE), girls’ enrolment still stood at just 45.7% in 2012. The issues in education include congestion in schools, and a lack of school buildings. Water, sanitation and hygiene (WASH) service delivery in schools is still short of the national recommended standards. For instance, currently, there is one latrine for every 67 students, and there should be one for every 40. The absence of adequate WASH facilities affects school attendance, more especially for girls during menstruation because of the lack of adequate and clean water, sanitation and hygiene facilities. The lack of these facilities, plus that of emergency pads and changing rooms, prohibits girls from attending school for about 4 days per month, which has a negative effect on school attendance and performance as well accelerating school dropout. Experience has shown that latrine cleanliness affects toilet use and may be more important than the total number of latrines. Another key issue on social protection is disability inclusion; it is estimated that as many as 16% of the population (5.2 million in Uganda) are living with a disability. Provision of inclusive education is affected by a weak policy framework, limited in-service training, socio-cultural factors and inadequate financing. The Global Initiative report (2015) indicates that even if children with disabilities can gain access to school, they are particularly disadvantaged by non-inclusive teaching methods, inflexible curricula and examination systems. This resonates with the fact that we are not keen on social protection of these vulnerable persons. The social protection schemes of the country are embedded in a number of policy frameworks which include the 1995 Constitution of Uganda and the National Development Plan (NDP 2010-15) that recognize the need for social protection and highlight social protection as one of the key strategies for the transformation of Uganda from a peasant society to a modern and prosperous country. A National Social Protection Policy has now been developed and launched. The Policy seeks to promote coordination and harmonization of social protection interventions in the country. As an integral part of the Uganda Vision 2040, the Policy outlines a clear vision and strategic framework for a well-coordinated national social protection system. I applaud the efforts of the government of Uganda and its commitment through policy and legislative frameworks to provide social protection with the aim of addressing vulnerability of women and girls, but a lot is still left to be desired. The status of women and girls is still alarming as well as other negative social cultural practices and social norms that perpetuate gender based injustices. Sexual violence leading to teenage pregnancy, domestic violence, and economic violence, physical harmful traditional practices, human trafficking and psychological violence is on the increase. The legal system is very slow in providing access to justice for survivors of gender based violence. While it is true that we all have a role to play in ending gender inequalities, it is the government that should strengthen its primary responsibility as a state to guarantee social protection for all. The national government should deliver rights-based and gender sensitive social protection services for all persons in Uganda through their life cycle and mobilize resources for publically funded social protection through fair taxation of companies and people. Governments should ensure that systems of social protection are anchored in law and comply with international human rights standards, and engage with different actors in society including faith based organizations and other civil society actors in developing policies on social protection with the aim of promoting accountability, efficiency, and inclusivity in the delivery of social protection systems. Finally, the government should guarantee gender-specific analysis and design of social protection systems by prioritizing the voices of women and girls in designing social protection systems. Faith actors and faith institutions should also be included in the government’s efforts, challenging negative social norms through their prophetic roles and spaces. Over 85% of Ugandans ascribe to a particular religious belief, giving faith actors a significant level of influence. Through their engagement, many people will be involved in achieving SDG 5, ensuring gender justice for all. Irene Anena is the Focal Person for Gender and Social Justice with the Church of Uganda, and a member of the ACT Uganda Forum.